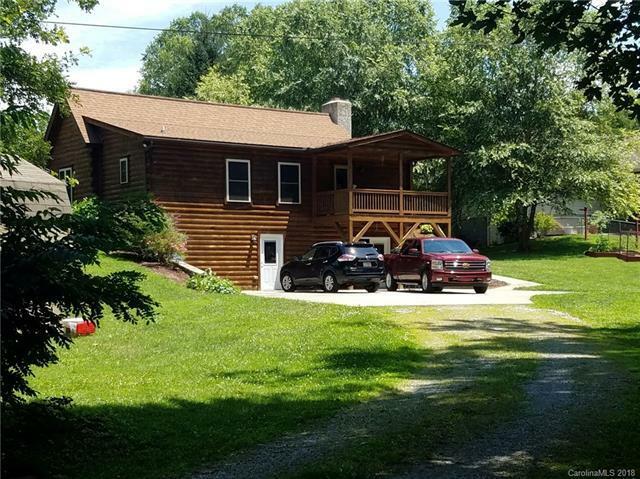 Charming, clean, and well maintained modular log home with a bold creek in Candler. Large master bath. Covered decks front and rear. 240 square foot Loft not counted in total square feet due to ceiling height. Quiet, country location 15 minutes from Asheville. Basement partially finished and has wood burning stove and offers many possibilities. Washer, Dryer, and Refrigerator in basement do not convey.